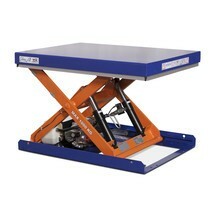 With the Ameise® closed flat scissor lift table, you can safely raise heavy loads to an ergonomic working and reach height. 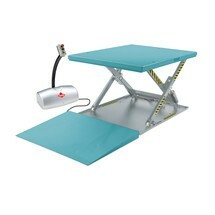 This allows you to work in a comfortable, fatigue-free manner. 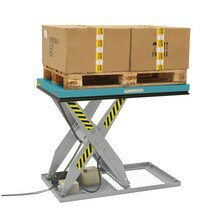 Thanks to the closed platform, you can quickly and easily load the lift table with pallets and non-palletised goods. 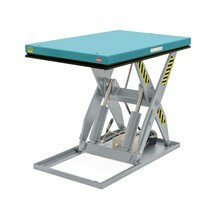 A single scissor lift table of the EdmoLift® T-series serves as an invaluable aid in any industrial environment. 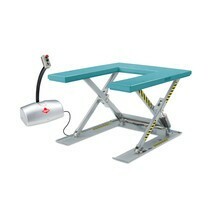 It allows you to perform loading and unloading work with an ergonomic posture. The device can easily lift even the heaviest of loads. 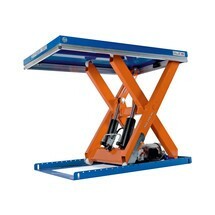 A scissor lift table of the EdmoLift® T-series serves as a flexible aid for your daily work and can be used as a work table, palletising platform or warehouse lift. Models equipped with a double scissor deliver even greater versatility.